Sunsets and Sunrises are my favorite times of the day. Enjoy. 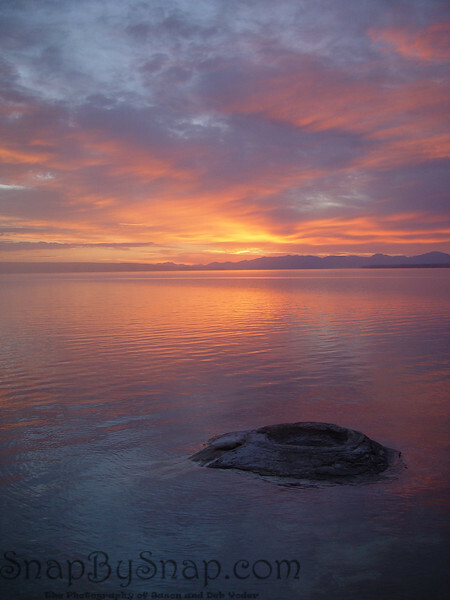 A colorful sunrise over Yellowstone Lake with Fishing Geyser in the foreground.